Contrary to what Vogue may tell you, green really is the new black. With Earth Day coming up, many of us are in the environmental spirit, but it can be hard to stay eco-friendly away from home. A couple traveling by bus will cut their carbon footprint nearly in half compared with driving even a hybrid car. And if they take a bus rather than a plane, they will cut their emissions by 55 to 75 percent, depending on the distance they travel. Buses emit the least carbon dioxide per passenger mile compared to other vehicles, and are 7 times more energy and fuel-efficient than single occupancy automobiles. Buses are 3 times more efficient in reducing carbon dioxide output compared to commuter rail. Buses are the most fuel-efficient transportation mode in North America when measured in terms of passenger miles per gallon of fuel providing 206.6 passenger mpg compared to commuter rail (92.4 passenger mpg), airlines (44 passenger mpg), and single occupancy automobiles (27.2 passenger mpg). Switch up your usual style of travel and take a vacation by bus. It cuts down on emissions, making for a more fun trip with much cleaner air. Take a deep breath and enjoy the cool, clean clear air free of emissions and pollution. Nothing wrecks a scene quite like a Coke can blowing in the wind. No matter where you are, it is awful to have a pretty picture ruined by some stray pieces of trash. Next time you have a wrapper, take the extra four seconds and toss it in a waste bin. You’re saving the view for others. Better yet…take care of someone else’s litter and improve the view for the next person. On a related note, sometimes you just can’t find a trash can. Whether you’re in a canoe, or on a long hike, it’s a good idea to bring a reusable bag to carry your trash. Whether it’s a bubble gum wrapper or your lunch debris, carrying a little extra trash can be annoying, but is worth it in the end. The earth and your fellow travelers will thank you. In landfills, plastic bottles are everywhere. Cut down on your own personal waste, and save money by investing in a reusable water bottle. With countless colors and prints, you can even choose a pretty one. Stylish and environmentally friendly? Now that’s something I can get behind. As anyone who has ever carried a heavy backpack knows, it can be a struggle. With sore shoulders, it can be a huge pain. But it is also a pain for the environment. The more weight on a vehicle (car, bus, plane, etc), the more fuel it uses. Every ounce counts, so save your back and your buck and forgo that extra four pairs of pants. The earth thanks you. At the grocery store, we often hear the phrase, “paper or plastic?” Now, introduce a new option when you’re on the go. Bring your own reusable bags for souvenirs, and save the shop some money, and the world a few extra trees. When it comes to capturing the perfect memory, there are a lot of strategies. Although many people are attracted to the convenience of a disposable camera, try a digital one on for size. It’s a long term option with great settings and HD. It can save the earth, and save your pictures – no print shop visit required. When out and about, it’s easy to go the Wendy’s or McDonald’s route rather than the local place. After all, we love something predictable. But trying out a local place is a new experience, it also helps support local businesses, and local farms. Take a bite out of the local agriculture and try Joe’s Grill for a change instead of Jack in the Box. Everyone loves the ease and quickness of an aerosol sunscreen or hairspray. It’s quick and effective, but it’s also torture on the ozone layer. Now, don’t forget the sunscreen, but protect your skin with a cream-based option instead. Every little bit helps. Even better, invest in biodegradable sunscreen to protect our oceans! In the wonderful age of technology we live in, there’s no excuse to waste money on heavy and wasteful paper maps. Print them out at home on recycled paper, or better yet, keep the information on your phone. Save a tree while exploring the forest. This Earth Day, don’t leave the celebrations at home – take them on the go! Keeping it green at home or away! 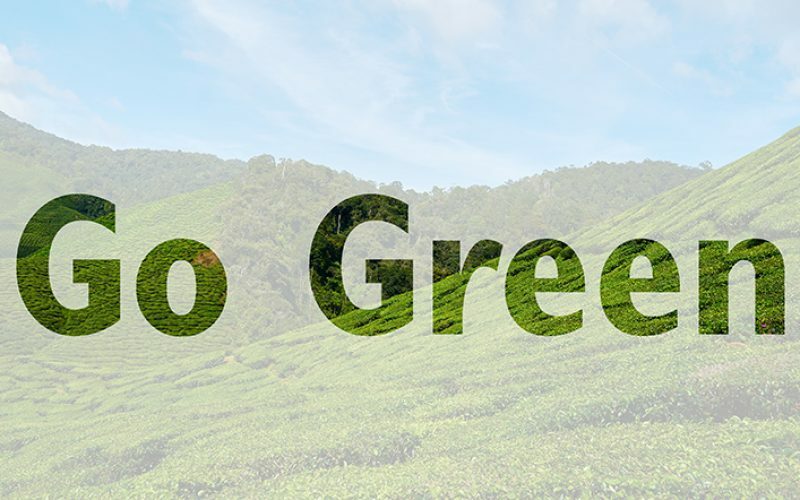 What are your favorite ways to Go Green? P.S. Go Greener with Starr!